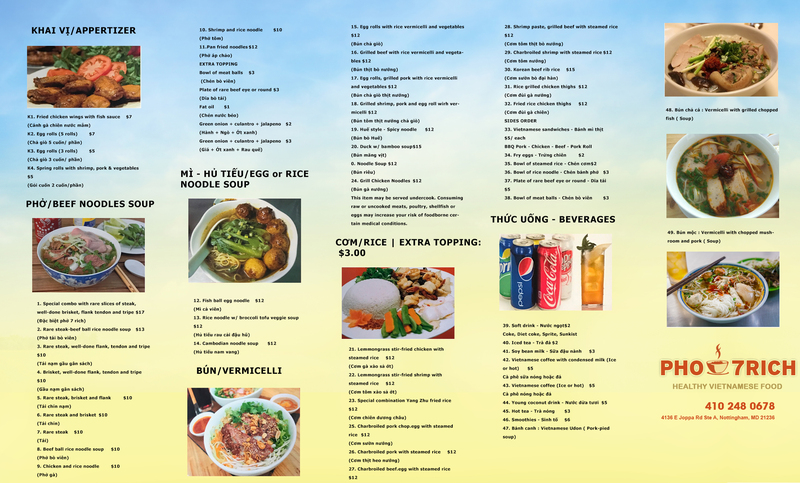 We are the first Vietnamese Restaurant in Perry Hall and White Marsh. We are dedicated to provide great food with an amazing service. Our chef has had 27 years of experience and is very enthusiastic about giving you the best Vietnamese experience. 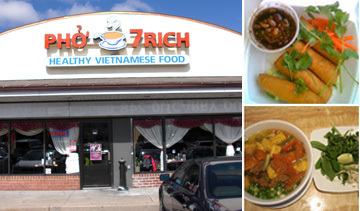 At Pho 7Rich, we are focused on providing quality Vietnamese food with the highest levels of customer satisfaction – we will do everything we can to meet your expectations. With a variety of offerings to choose from, we’re sure you’ll be happy that you walked through that door. Look around our website and if you have any comments or questions, please feel free to contact us. We hope to see you again! Check back later for new updates to our website. There’s much more to come! Powered by Fastboymarketing.com created with Jukydo.